This chart displays the basic relationship between the different schools. 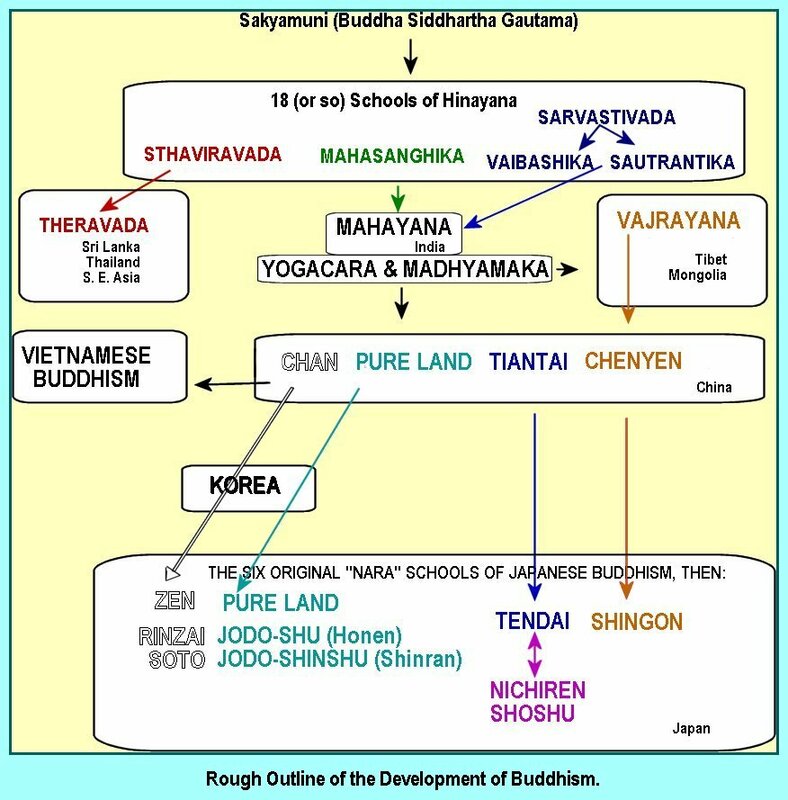 Or, to put it slightly differently, it shows how Mahayana schools emerged from the beginnings in Hinayana. There is no particular significance to the colors, the size of the rounded rectangles, or the specific beginnings or ends of the arrows.